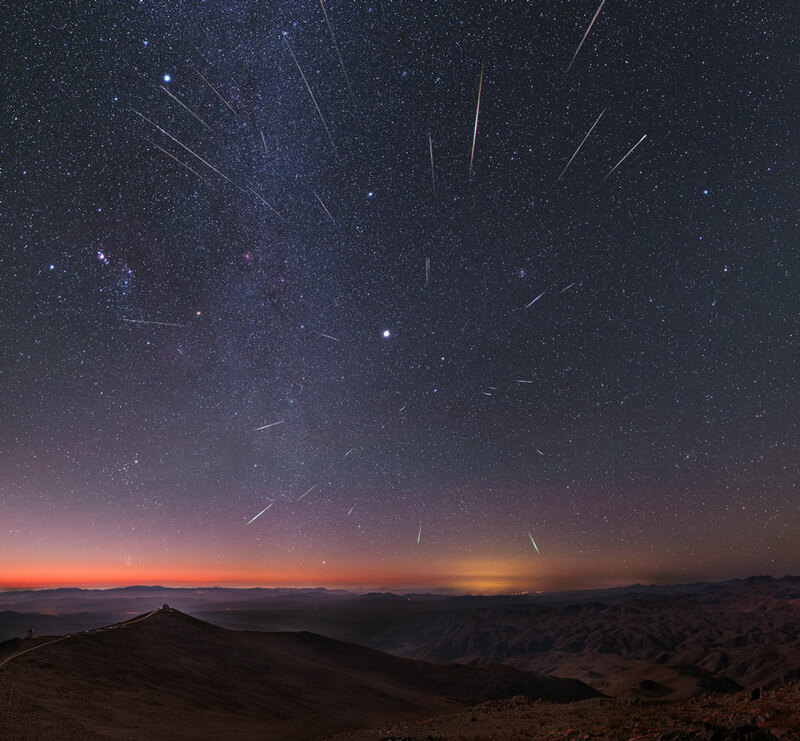 Explanation: From a radiant point in the constellation of the Twins, the annual Geminid meteor shower rained down on planet Earth over the past few weeks. 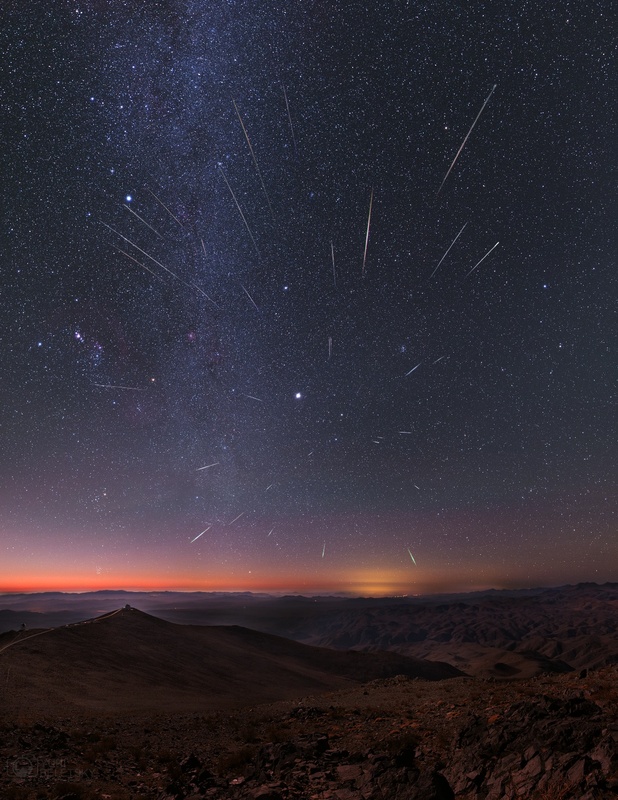 Recorded near the shower's peak over the night of December 13 and 14, the above skyscape captures Gemini's shooting stars in a four-hour composite from the dark skies of the Las Campanas Observatory in Chile. In the foreground the 2.5-meter du Pont Telescope is visible as well as the 1-meter SWOPE telescope. The skies beyond the meteors are highlighted by Jupiter, seen as the bright spot near the image center, the central band of our Milky Way Galaxy, seen vertically on the image left, and the pinkish Orion Nebula on the far left. Dust swept up from the orbit of active asteroid 3200 Phaethon, Gemini's meteors enter the atmosphere traveling at about 22 kilometers per second.